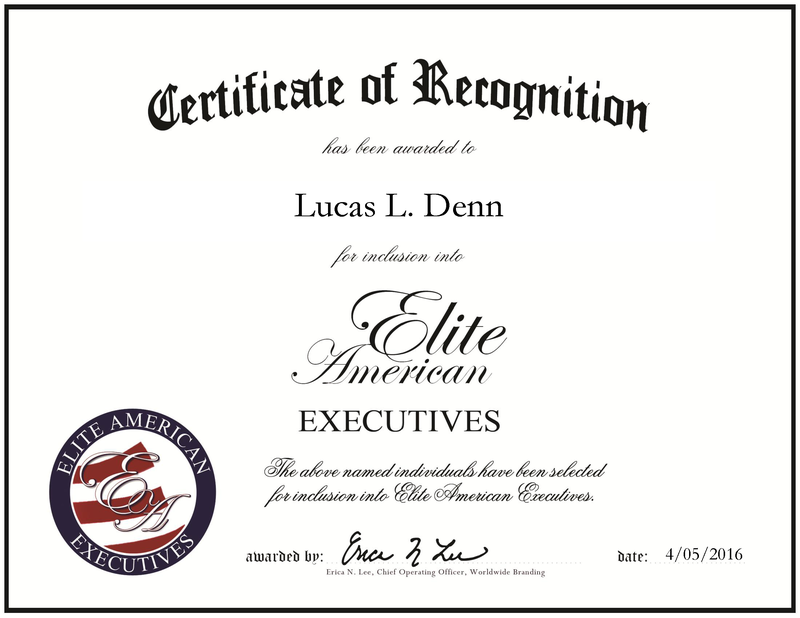 Woodinville, WA, April 5, 2016, Lucas Denn, Director and Trustee of Catues International Company Trust, has been recognized by Elite American Executives, for dedication, achievement and leadership in private placement services. For 15 years, Mr. Denn has directed and been a trustee on Catues International Company Trust, a firm committed to identifying and fulfilling client-funding requests. As a private placement services for the banking industry, the firm also provides fundraising and asset management services. The firm is well-versed in venture capital, joint venture, project finance, security, and acquisition and mergers. Mr. Denn proves himself as an asset to the firm, calling upon his expert communication, negotiation and financial management skills. He possesses the ability to work nationally and internationally. With strong and adaptive people skills, Mr. Denn works with clients to ensure their financial endeavors are safe and prosperous. In the years to come, Mr. Denn looks forward to taking on more projects. He endeavors to make a difference in the world. As the director and trustee of Catues International Company Trust, he is responsible for completing large tasks, but keeps in mind to grow his company by networking, marketing, consulting and branding. This entry was posted in Finance, Financial Planning and tagged asset management, joint capital, private placement services, trust, venture capital. Bookmark the permalink.